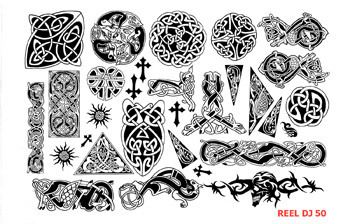 This sheet contains: Celtic designs. Sold by the sheet only. USE THE SEARCH BOX TO FIND TATTOO OF YOUR CHOICE - example: type in 'eagle' to find all the sheets with eagles on them.